Creative ideas and innovative solutions are key ingredients for business success. Businesses, no matter how large or small, who see and act upon the opportunities and possibilities for change, not only survive in our uncertain and complex world; they flourish. Following the success of their first event in Lincoln – Mandy Wheeler and Luke Sorba, both award winning writers and directors with many years’ experience teaching and coaching creative professionals, are returning with their unique workshop. Please download the attached PDF HERE for more details. 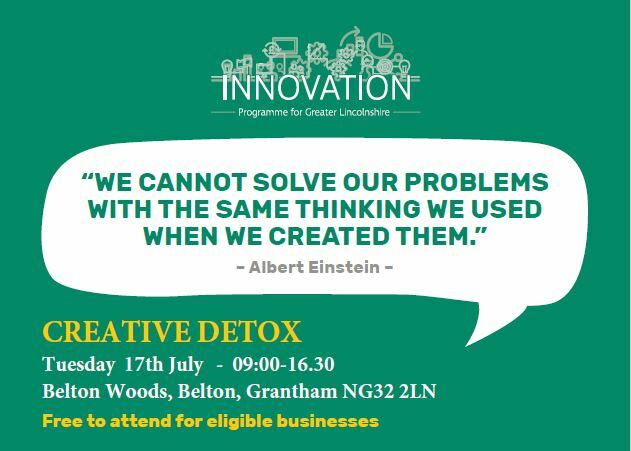 © copyright 2017-2019 Grantham Business Club.